Gourdie is one of the oldest creatures that reside at the Village Mire. The mad genetic engineer Doctor Wolfram has created many unspeakable abominations over the years that roam the Mire in October. Gourdie is one of his proudest achievements. 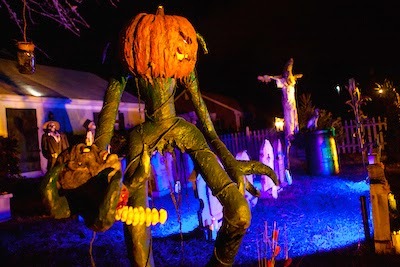 Gourdie seeks revenge for his pumpkin brethren who are mercilessly slaughtered every year to make Jack O'Lanterns. 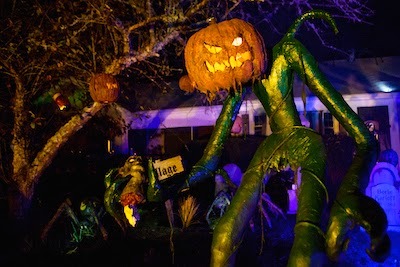 If you enter the Mire beware, as he has been known to make his own twisted version of Jack O'Lanterns with the heads of Trick 'r Treaters.